As the EU tries to battle its way out of financial crisis, the British mega rich continue to gain capital, according to the Sunday Times’ Rich List. It revealed that during the past 10 years the top one percent’s fortunes more than doubled in the UK. The combined assets owned by the 1,000 wealthiest individuals in the UK have hit a new high of £547 billion ($831 billion), up from £250 billion posted in 2005. All these gains came flooding in despite surging unemployment rates all over Europe, creeping deflation fears and overall economic slowdown. Moreover, it is becoming increasingly competitive for the rich to find a place among the top 1,000 spot, with a minimum fortune of £100 million required. Sunday Times published its list on April 26, revealing the names of 117 billionaires, with 80 of them residing in London. 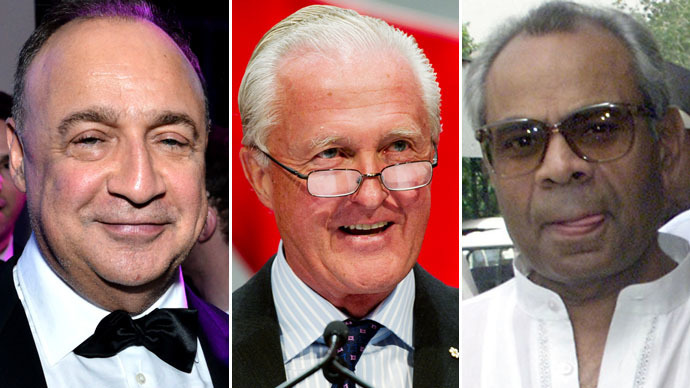 On top of the list is the Ukrainian businessman Len Blavatnik with £13.17 billion, taking the spot for the very first time as well as pushing the brothers Sri and Gopi Hinduja with £13 billion out of the lead and into the second place. One of Blavatnik’s successful assets includes the Warner Music Group, which was purchased in 2011. The third spot went to the Galen and George Weston and family whose estimated worth is £11 billion. However, some of the billionaires suffered some losses, including steel magnate Lakshmi Mittal, whose fortune dropped to £9.2 billion and Chelsea Football Club chairman Roman Abramovich’s assets plunged to £7.29 billion. The list compiles the individuals’ land and property as well as financial assets like shares, but excludes bank accounts.